Using Promoted Pins — Tips from Pinterest! Want to know about Promoted Pins? In this episode I interview someone directly from Pinterest. Yep, Pinterest!!! Mary Diamond is a Partner Development Manager at Pinterest, where she helps companies reach their marketing goals through Promoted Pins. Her background is in technology and marketing, and she spends her free time drawing, practicing yoga and enjoying San Francisco. Mary is often the first person that businesses speak with when they begin using Pinterest to grow their business/blog. It is her job to be sure that people have all the resources they need to make their promoted Pins campaign be as successful as it can be. She gave so many awesome ideas for managing your Pinterest campaigns and using your advertising effectively! I know you will get a ton of ideas from Mary, so let’s get to it. Download Pinterest’s Best Practice Guide. Mary references this often throughout the episode. It gives you a qualified audience. In other words, you are reaching exactly who you want to be reaching. It amplifies your content. If you have really great content, and you gain that coveted top spot in the Pinterest feed, your content gets spread even more. Benefit to bloggers specifically in using promoted Pins? Definitely! If you are a blogger who wants to get your content in front of the exact people your blog is targeting, promoted Pins are a great way to do that. Promoted Pins boost audience engagement, and click throughs to your website. The shelf life of a Promoted Pins is 90 days! Focus on the creative aspect. Your Pins should be beautiful, helpful and focused. Add your logo to the lower corner for credibility. Pins should be tall and contain multiple images, with text overlay. To use the description to your greatest advantage, word it as a conversation between yourself and the reader. Be okay with “test mode” when you first start. Using promoted Pins for one week will not tell you whether or not your campaign is a success. It may take up to 30 days to see any real traction, so be patient and use that time to really figure out how it works. Don’t run more than one Pin per campaign. Pinterest has their feed optimized for the best performing Pin to be shown the most. So the other Pins will fall off and you won’t be able to see what is working best for you. If you don’t know specific results, you can’t adjust your budget accordingly. There are two different types of campaigns…you need to know your goals in order to choose the right one for you. Taking into account the latest changes to Pinterest’s algorithms, they now recommend anywhere from thirty to fifty keywords in targeting your audience in the ads manager. These keywords don’t need to all be repetitive either. And the good news? You aren’t punished in any way if you go over. Some businesses use upwards of 200 keywords with no negative consequences. So, do you set your campaign for “all devices” or just a specific one? Mary says that in the beginning, you should choose “all.” It will give you more reach. Keep in mind though, that 80% of Pinners use Pinterest on an IOS mobile device. How Does CPC (Cost Per Click) Work? When putting in your bids, don’t just go for the “good bid.” Mary recommends going for the high bid to start with. Pinterest gives your ad a boost in the beginning, but with the higher bid, you get more performance out of the gate. Then, as you see how successful the campaign is, you can adjust down. Be sure to listen to the episode to hear a great example of a CPC ad. What is the difference between a daily budget and a lifetime budget? Obviously, a daily budget will cap at the end of each day. A lifetime budget actually works pretty much the same way; you just commit the entire budget up front and Pinterest breaks it down for you. Look back at your targeting and see if it is too limited. How many keywords are you targeting? If your target is limited, your results will be limited. Go back to the creative part. Does your Pin have everything it needs to be successful? Look back at the list in the second topic above and check your Pin against that. Read more here about branded images and how they affect Pinterest traffic. One pin per campaign. When just starting out, it is the cleanest way to get started. Look at the last 30 days of a campaign or the results follows. If your ECTR (Effective Click Through Rate) is rising and your ECPC (Earned Cost Per Click) is dropping then you’re doing something right. 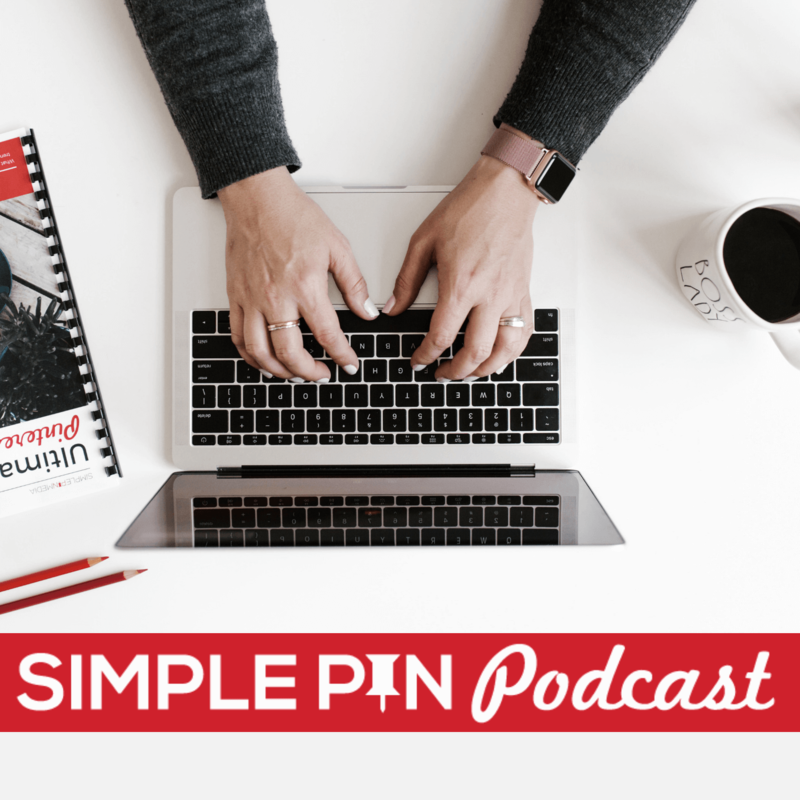 Listen to more episodes of the Simple Pin Podcast. 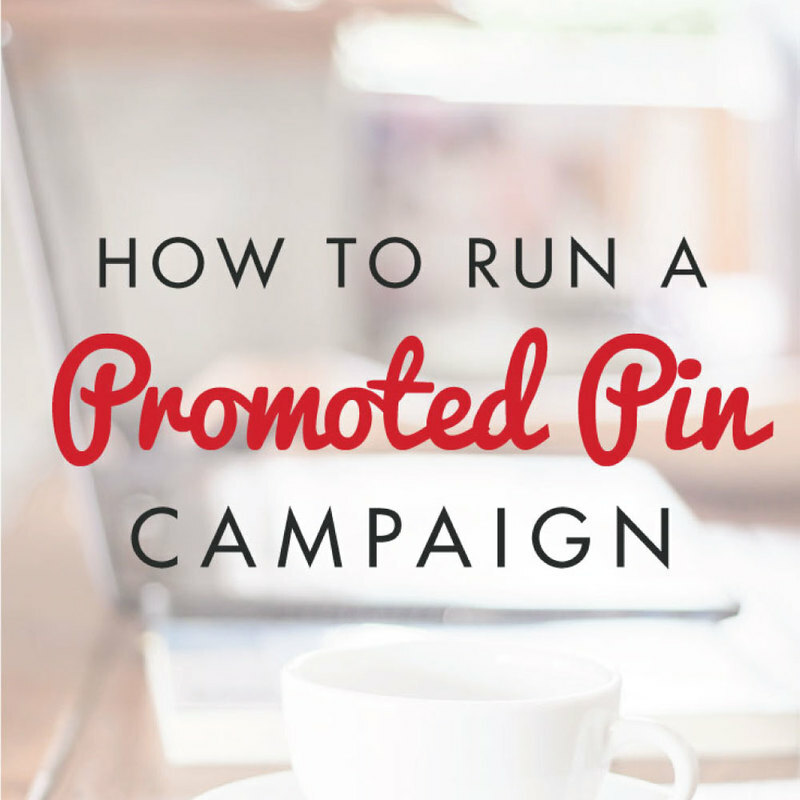 Get started with Promoted Pins! Download this free quick start guide to get started with promoted pins today. Success! Now check your email to get your free guide. What precisely does it mean when you say, “The shelf life of a Promoted Pins is [sic] 90 days!” Shelf life means how long it shows up in smart feed maybe? Rich pins give context to your promoted pins campaign by adding more context like pricing and availability. Pinterest offers its users six different types of rich pins to choose from. They include product, app, article, movie, place and recipe. You may need the help of your website developer to add rich pins capability to your website. Then you have to verify your rich pins before they appear on Pinterest. After that visitors can interact with them on your pinboard. I’m still a little confused about the bidding. If I have a budget of $10 a day, and I bid $2.50 per click, then my whole budget is gone in 4 clicks and my pin is no longer promoted that day. But if I bid $0.50 per bid, my pin is promoted until I’ve had 20 clicks on that pin today, thereby getting more impressions and more repins too. I don’t see the benefit in paying a higher price per click to get a ‘boost’ up front when I would be happy with a long slow burn over 30 days and pay a lower price per visitor. What am I missing? Thanks for the great podcast. They will show the repins and impressions but you’re only paying for clicks on a traffic campaign. I would email them about the extra 10 clicks. I always go low cost instead of high cost. I’m with you and would not pay $2.50/click EVER! I have a question about CPC – In my Traffic campaign for example, under the Edit Add Group settings, it says other advertisers are bidding between $0.89 and $1.63. The Pin I am using is a “cold (new) pin” without a lot of repins etc. So I am following your advice and starting the bid high at $2.20 as the Max CPC, but hopefully lower it after it gets some traction – is this not what you would recommend? Your comment here seems to contradict this. I appreciate your insight and found the podcast really helpful! Don’t bid high! Bid low, like $.30/click. Go low and THEN raise just a bit if needed.